History is something that we rarely witness in the world of filmmaking. Whether it be a film that changes the perception of filmmaking, or a movie that turns the art of filmmaking itself. In this case, Sam Raimi’s Spider-Man made history on multiple fronts. Spider-Man made box office records of achieving $100 million in its opening weekend. Before Spider-Man no film had ever grossed $100 million in its opening weekend or to be exact $114 million. Not to mention Spider-Man was made on a $139 million budget, Spider-Man was a success with audiences and critics alike. Scoring an 89% rating on Rotten Tomatoes and at the time Roger Ebert gave it 2.5/4 stars, which for a superhero genre film at the time that was a high score, to say the least. It’s hard to understand now, with the incredible financial success of the Marvel cinematic universe, it hard to comprehend that there was a time when the comic book film genre was overlooked and never seen as a viable option for an audience or critical approval. Focusing on the origin of a nerdy, shy, and coy teenager who gets bitten by a genetically modified spider that causes him to gain spider-like powers of crawling up walls and swinging on webs through the city of New York. He soon takes this power to become a superhero after a tragedy transpires on his family. Growing up as a huge fan of Stan Lee and Steve Ditko’s creation known as Spider-Man. I don’t exactly remember seeing this film in theaters, but I remember wearing out the VHS tape on my small 12-inch television. Watching and rewatching this movie over and over to a point where I began to even memorize the song “Hero” by Nickleback that played after the credits as a music video. Least to say I enjoyed this film as a kid, but now rewatching this movie through adult eyes in Blu-ray quality I began to realize the magnificence of this movie. Starting with Sam Raimi’s masterful direction that is entirely centered around making Spider-Man more than a just comic book film and instead of trying to create a drama-centric thriller with superheroes and supervillains. Beginning with an introductory sequence filled with close-ups and narration from Peter Parker himself, portrayed by Tobey Maguire, describing if this story is a delightful tale tricking us into believing he’s the hero of the school. We then see a close-up of the great Mary Jane Watson, portrayed by the lovely Kirsten Dunst, and the tormenting Flash Thompson. In which we learn of Peter’s adorable crush on Mary Jane and then we begin to pan and learn of the nerd that Peter is. As we see him running next to the bus begging for it to stop, Mary gets up and asks the bus driver to stop after we see that even the bus driver enjoys picking on the little guy. This introduction feels as if it’s from an 80’s high school drama/romance, showcasing that this film is not your stereotypical genre film. Instead, Raimi and the writers focus on creating a film centered around a young boy who is changing from a boy to a man. The direction reflects this captivating filmmaking with Raimi chooses to structure his shots and how his cinematographer, Don Burgess, chooses to color the shots. Using primary colors throughout the film one hundred and twenty-one minute run time. Even presenting a shot in which Peter is wearing green, and Norman is wearing red and blue, while Harry is wearing both of their colors. Showcasing the internal confliction occurring in Harry’s mind in which he’s being torn between the right represented by Peter and the evil represented by his father, Norman Osborn. This skillful filmmaking displays the undeniable talent and effort put into the creation of this genre-breaking classic. Spider-Man also sets itself apart with its perfect casting, starting with Tobey Maguire as Peter Parker who depicts the adorable innocence of this character accurately and brilliantly. Willem Dafoe is phenomenal with his portrayal of the insane green goblin, and he excellently portrays the conflicting battle going on inside of his mind between the evil goblin and what’s left of himself. Kirsten Dunst is excellent as Mary Jane with one of her best performances of her career, James Franco is solid as well, but the standout supporting character is J.K Simmons as J. Jonah Jameson in this charismatic depiction of the humorous boss of the Daily Bugle. The only problems I found in rewatching this superhero classic was with its visual effects becoming a bit dated and that some of the films begin to become a bit rushed with its action sequences. Specifically, the parade in which the action looks as if it belong in a nineties TV show of some kind. Unlike the final action sequence which is covered in gritty brutality with Spider-Man almost being beaten to a pulp by the Green Goblin, Raimi decided to infatuate the parade action with an oversaturation of computer generated imagery as well as comically filmed action. With building seeming as if they’re made of clay instead of brick as it begins to fall apart. Spider-Man begins to become a bit campy as Raimi is known for with his past films, even with that it Spider-Man is undoubtedly one of the most influential comic book films ever made. Spider-Man has become one of my favorite films ever made, not to mention one of my favorite Marvel films. With an enticing use of direction and color design, Raimi mesmerizes me with his exquisite filmmaking that begins to become just as riveting as the entertaining superhero battling with the heinous supervillain. The performances are perfectly cast as well as captivatingly portrayed with Maguire and Dafoe at the helm producing two enthralling characters that are irreplaceable at times. Spider-Man broke the genre of comic book movies in a way that Tim Burton or Christopher Reeves never could. Constructing a marvelous film that entices comic book fans and new fans alike. The flaws of the movie become nitpicks no matter how much I contextualize it or analyze its messages or depictions of this infamous web-slinger. Well considering that the new Spider-Man movies is only days away I figured it only right to take a look back at the past movies. We begin with the very first movie directed by Sam Raimi. I am a huge Spider-Man fan so 10 years ago I was hyped that it was moving to the big screen, maybe a little too hyped. 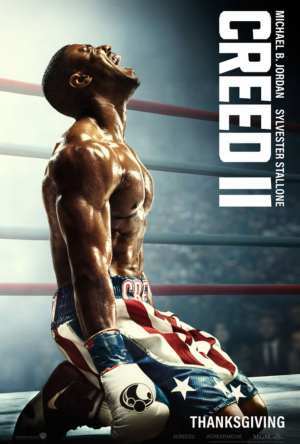 I may have expected too much from this movie because, though I enjoyed it, there were some points where I was disappointed. 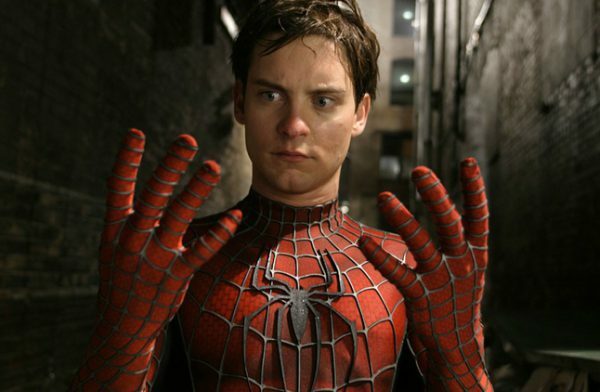 Tobey Maguire stars as Peter Parker A.K.A Spider-Man, which was actually a pretty nice fit. Tobey plays the nerdy, nervous, shaky character very well in the way he’s always stuttering to the girl of his dreams and having a quiet timid voice. He also changes character to being the loud, talkative, jokey Spider-man well. Though his dialogue can be quite unemotional at times, he pulls it off well. Kirsten Dunst plays Mary-Jane Watson, Peter’s love interest and I believe she pulls this character off well, similar to Toby. She’s good at being the damsel in distress always screaming (which can get annoying at times) and in danger. Most of the other actors are very good at playing their characters, especially Jonah Jameson (played by J.K. Simmons) he’s by far the most likeable and funniest character in the movie. Now the movie. The story holds up OK, it’s not always the best but it’s not awful. There are plot holes here and there but nothing too big. It tries to stay true to the comics as much as possible other than the fact that Gwen Stacy was Peter Parker’s sweetheart first in the comics. It can be very over the top at times, but I mean, it’s a super hero movie, what do you expect? Although sometimes Willem Dafoe just gets to me with how over the top he can be playing the Green Goblin, it’s enjoyable, yes, but also overly hilarious. Many times it gets very emotional as you can actually feel the pain and suffering some of the characters are going through. We can all relate to losing a loved one or suffering a heartbreak, so most people can connect to the feelings and emotions of the movie. All in all I enjoyed the movie, characters, story and its comic book ridiculousness. If you haven’t seen it yet I very much recommend it. 1 movie down 2 to go. Awesome review – this is still, alongside Spider-Man 2, my favourite Spider-Man film. Can’t wait to see Homecoming, though.